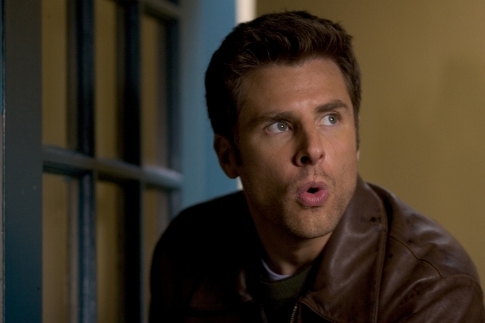 During his childhood, Shawn Spencer developed a remarkable talent for noticing the tiniest of details under the guidance of his policeman father, Henry. However, upon growing up he found it difficult to get a job, and spends most of his time using his skill to give the police anonymous tips. However, the tips are so good that some cops become suspicious that he is involved with the crimes himself. 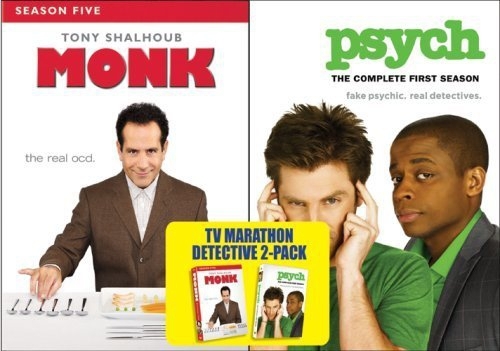 To clear his name Shawn finally settles on a career: he pretends to be a psychic. No one really believes him, but he continues to be so helpful to the police that they keep calling him in on cases they can't solve. 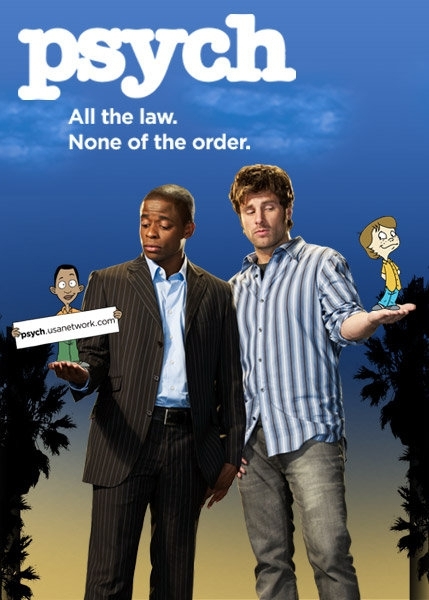 Shawn soon brings his childhood friend Gus into his scheme, and between their bantering they manage to solve every case they're presented with. 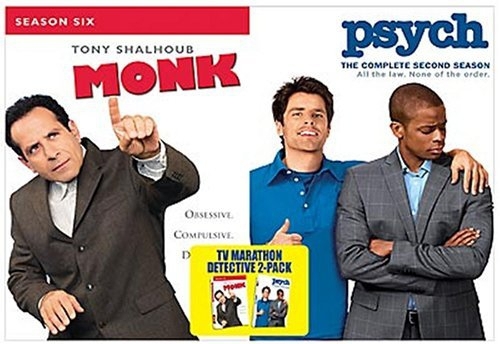 Raised by his policeman father to be especially observant of his surroundings, Shawn develops a talent to deduce the solution to crimes by simply watching TV reports. Usually just 'phoning in tips to the police, after seeing a report on a kidnapping, he visits the police, who suspect he is involved in the crime. Convincing them he has psychic abilities, the police hire him to help them on this high-profile case. Shawn thinks the kidnapping is a set-up, but when he tracks down the place he thinks the "crimimals" are hiding he, and the police, are in for a nasty surprise. 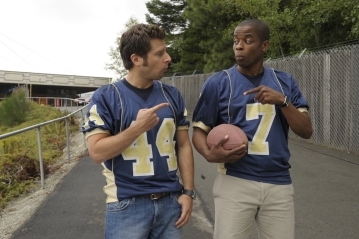 Shawn and Gus crash a crime scene of an apparent suicide. One of several in the last few months. This one was an overdose of pills, or so it seems. While in the apartment, though, Shawn notices a few things that might point more toward murder. When no one believes his psychic vision of foul play, he insists he's not leaving until he talks to the witness - the victim's cat. Shawn and Gus' childhood bully, Jimmy Nickels (Ben Giroux), comes back into their lives when he hires them to find out why his horses keep losing. But a simple horse whispering assignment turns deadly when a rival jockey dies in the middle of a race. 7If You're So Smart, Then Why Are You Dead? A group of genius teenagers from a school for gifted students claims one of their teachers is a murderer. After striking out with the police, their last hope is Shawn and Gus, who go undercover and soon discover the kids' imaginations might not be so wild after all. Christmas with the Gusters is ruined when Gus's parents' neighbor is killed, a clue leads Lassiter to look at Mr Guster more closely. Evidence leads the police into arresting Gus's mother as well, and Shawn and Gus vow to get them out of jail. 5Disco Didn't Die. It Was Murdered! A safety inspector dies on an offshore oil rig and Chief Vick believes he may have been murdered. The problem: Vick's sister is with the Coast Guard and is in charge of the investigation. The two sisters become very competitive, clashing over both the jurisdiction over the case and the Psych detectives. Shawn and Gus find themselves caught between two rival Chinese Triad families as they search for one of the leaders abducted daughter. 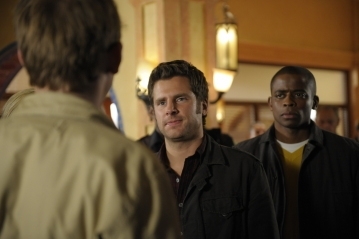 Meanwhile, Shawns father Henry joins the police department in charge of the consultants  Shawn and Gus. Juliet also deals with the lingering traumatic effects of her kidnapping in last seasons finale. Open with young Spencer, Gus and a nerdy friend talking to Henry about a weather balloon. The kids think it must have been a UFO, Henry does not.We see a lawyer, Kessler, at home doing some work. He hears a strange noise and the TV begins to flicker. He goes for some pills but finds they are gone and his entire house begins to shake. A co-worker named Toby arrives with more work and a refill on his pills. At this point a light appears from the sky and a vessel of some sort lands on the lawn. 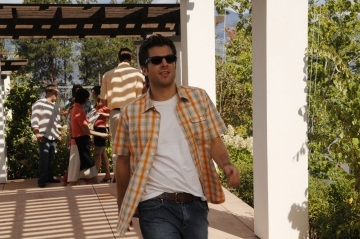 A slender figure comes out and Toby walks towards the light as the other man yells.Lassie, Jules and Henry arrive at Kessler's place the next day. 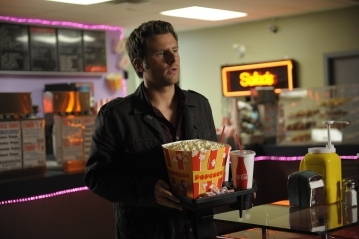 Once Kessler mentions he thinks a UFO abducted Toby the cops immediately start to dismiss him. Spencer and Gus arrive and sound very interested while the cops move towards their cars. When Spencer agrees to take the case Henry walk back to warn them it's a bad ideas. 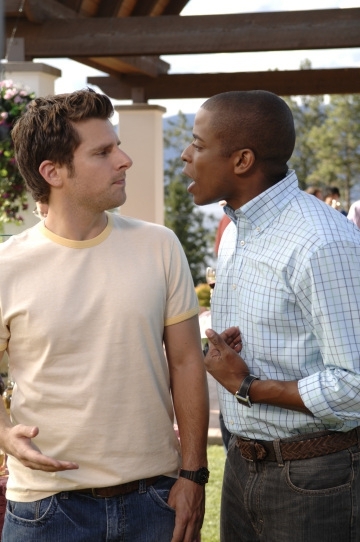 The guys analyze the property and see tell-tale signs of aliens.Kessler tells the guys he was totally sober and points out that Toby's car is still there and despite being brand-new will not start.Spencer and Gus go to visit their old nerd friend Dennis (the pudgy kid from the opening). 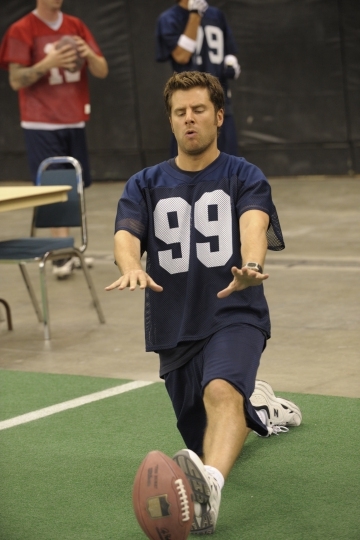 Dennis is now athletic and married to a beautiful wife named Molly. He has apparently become a jock. But the second Molly leaves the room Dennis pulls a switch and a secret nerd room opens up, complete with Battlestar Galactica and Star Trek memorabilia. 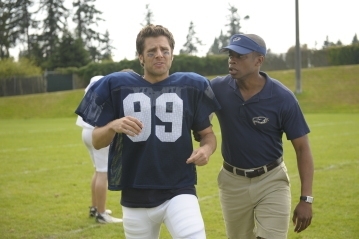 Dennis has been pretending to be a jock for Molly's benefit. Dennis has hacked into the national weather service's computer and pulls up the satellite image from the night in questions. They see a weird orb fly over Kessler's hour. On their way out of Dennis' place both guys admit they think Toby was abducted. Gus calls Kessler to tell him they believe his story.Cut to Kessler telling news cameras his belief that Toby was abducted and mentions to the reporter that the guys believe his story.Henry calls Spencer and Gus into the station. Toby is at the station and the guys have become a huge joke to everyone. Apparantly Kessler has a history of psychotic episodes and in the past has admitted to seeing UFOs. Henry is worried this will impact his ability to get them cases.Toby's story is that Kessler is acting crazy. He mentions that Kessler was not taking his meds. We learn that Kessler's firm has suspended him for a week. On their way out of the station the guys can't figure out a good explanation for what happened that night. They noticed a strange marking on Toby's arm. 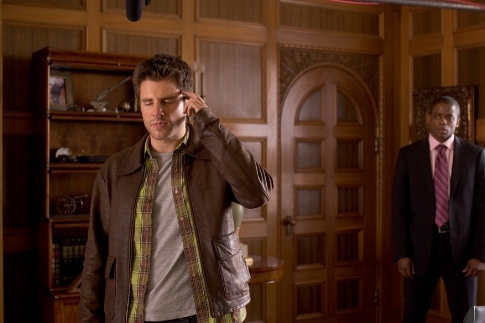 Gus is still convinced Toby was abducted, but Spencer isn't sure.At Dennis' place they analyze the tell-tale signs of abduction. 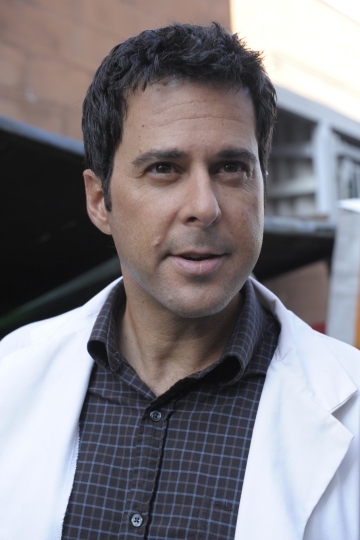 Spencer's new theory is that Toby tried to embarrass Kessler, since he has now been given all of his cases.The guys spy on Toby outside his firm wearing sci-fi related disguises. All of sudden Toby takes off in a dead sprint. Toby loses them but then calls Spencer's cell phone. Not realizing it was them behind him, he admits that Kessler was telling the truth and asks them to meet him in front of a hotel in an hour.While waiting at the hotel Toby's body lands in front of them, apparently the result of a suicide jump from the roof. Suicidal tendencies are a sign of abduction.In the station Jules tells the guys Toby wired all of his money, $500,000, to a charity just before his death. Henry tells the guys he can't hire them to investigate Toby's death. On their way out Spencer snags a few pieces of papers, one of which is the coroner's report featuring a strange object inside Toby's stomach.Woody tells the guys the object was a flash drive, but it is now in Lassie's possession.While working on the flash drive Lassie begins having computer issues. It was Dennis hacking Lassie's computer to grab the flash drive. The drive contains legal documents related to a textile company which recently was responsible for a major chemical spill. Kessler believed the spill was intentional. 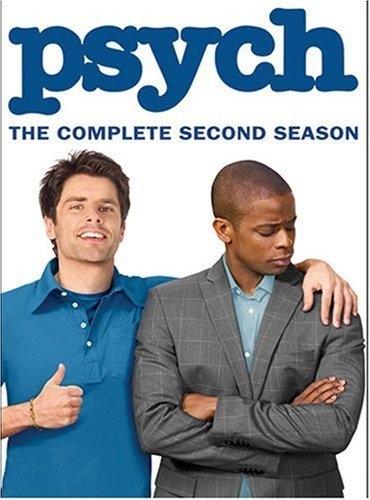 Gus and Spencer try to convince Dennis to join them which they investigate the spill but he declines.Spencer and Gus go the town where the spill occurred and find a fancy-looking truck. The vehicle is a machine that sends sonic vibrations into the earth looking for oil. It seems the textile company planned a chemical spill to drive residents away and have the oil for themselves. At this point a bright light appears in the sky.The guys are taken via helicopter by representatives of the textile company. Spencer tells them his version of their evil plan: With Kessler on their heels, they paid Toby to help discredit Kessler. Toby began having second thoughts and they killed him. When it appears the guys are about to be shot Dennis comes into the room pretending to be a delivery guy. He pulls out Nun chucks and helps the disarm two of the guards. 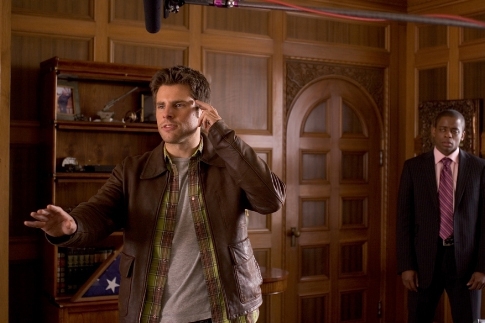 Just then Jules and Lassie burst into the room (Spencer sent a text to Henry) to establish order.Spencer and Gus are now being hailed as heroes for uncovering the conspiracy. Henry reluctantly gives them an additional job.Molly ends up discovering that Dennis is a nerd. Fortunately it turns that she is a closeted nerd herself. A wealthy widow's young date is murdered, pitting Shawn and Gus against a dirty rotten scoundrel they are convinced trained the victim to be a con artist. 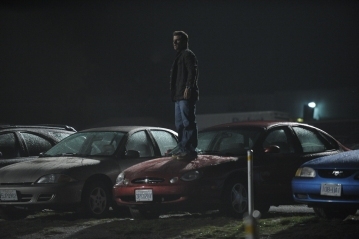 Shawn and Gus infiltrate a ring of street racing car thieves to catch a killer. 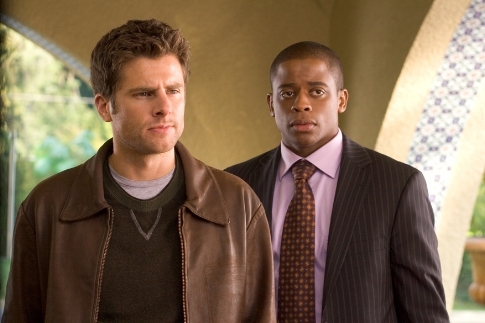 Two former cops come out of retirement to help Shawn and Gus solve the murder of a former police chief. 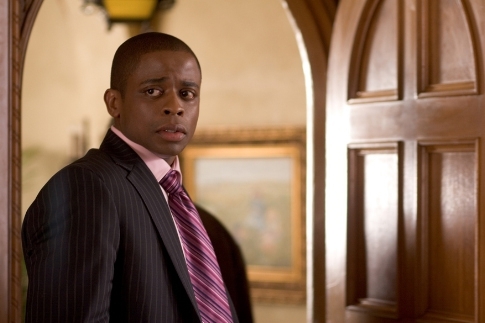 A U.S. Government Spy seeks Shawn and Gus' help in clearing her name. While on the haunted house ride at Santa Barbara's Scare Fest, Shawn and Gus witness a murder and are soon led to believe the person who committed it is the ghost of a man who fell to his death at Scare Fest 13 years ago. Open with Gus getting a mysterious email inviting him to the 90th Cinnamon Festival in a small town called Dual Spires.The guys head to the remote town and find it to be very strange. They speak with Bob Barker who own the diner, as well as Sheriff Andrew Jackson. Dual Spires doesn't have cell service or the internet and Jackson tells them they don't get many visitors.At the festival Shawn notices several empty seats. 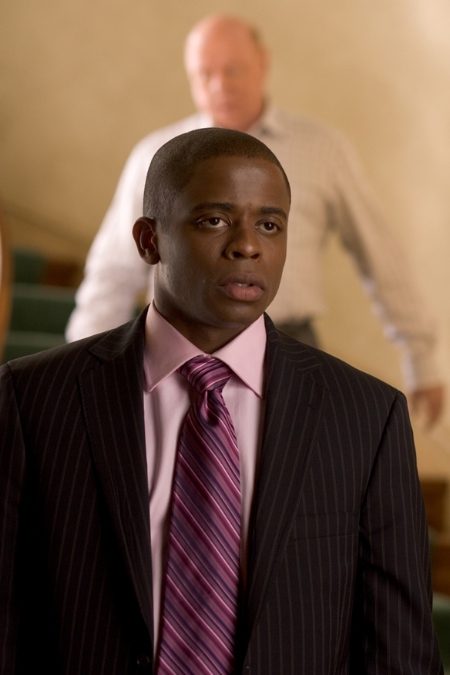 Jackson introduced his son, Randy, as the future leader of the town. One of the seats is right next to Barker and his wife. An upset Michelle Barker tells the guys their teenage niece Paula has been gone for a few days. The guys say they will help find Paula in exchange for pie and cider. Paula's best friend Jack rides up and says something has happened at the lake.Jack found Paula's half-naked body near the lake. Shawn finds a strange one-foot area with cell service near the lake and gets another strange email. This one says: "WHO KILLED PAULA MERRAL? "Jackson tells the Barkers he is going to rule the death an accident, as Paula had recently been sneaking out after curfew. Doc Gooden will perform the autopsy later. Shawn tells the Barkers their belief there might have been some foul play involved. Bob says Paula grew up in Santa Barker.Shawn calls Jules and asks her to look up Paula. 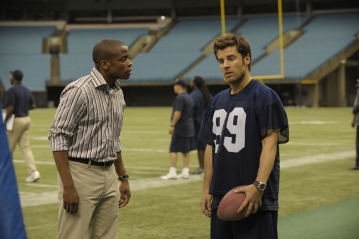 They get another strange email: "F796.32.The guys go to see Donna "Doc" Gooden, pretending that Gus is ill. Shawn notices an earring in evidence and remembers that Randy wore similar ones. Gooden says there were no obvious signs of foul play and says Paula had a dangerous side.Randy rides by in his bicycle and the guys follow him to his house. They knock on the door and offer Bob their services as grief counselors. Shawn spots pills on the table. Randy tells the guys he'd been dating Paula for six months and was at the library the night she died. He says the couple had been planning to see the world and begins weeping.The guys go to library and meet librarian Maudette Hornsby. Since Bob never remarried after the death of Randy's mother, Maudette has been "filling a role." The guys find the book which has a Dewey decimal number to match the email. The book is called "Reincarnation and Rebirth. "Jules tells the guys that Paula drowned in Santa Barbara seven years ago.Jules and Lassie arrive in town. They tell the guys Paula's body was never found seven years ago. Her sweater and bike were found, along with some sunflower seeds. Shawn recalls seeing Bob with seeds.The guys go to the Barkers' home. Bob tells them Paula's drug-addicted mother had been abusing her and the plan had been to fake her death in order to get her out of the situation. 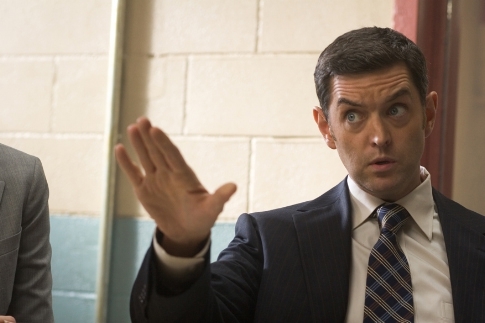 Lassie and Jules head back to Santa Barbara to re-open the case.Shawn and Gus are allowed to look at Paula's room. The find her diary, written in Latin.Shawn calls Father Westley and asks for help translating the diary. He tells them she may have been seeing someone popular, 'R,' as well as someone else she calls 'J.' Shawn hangs up before he can finish giving them more translation and Jules shows up.The guys go back to see Maudette and gets the most recent Dual Spires yearbook. Shawn notices her best friend Jack Smith, who was the photographer.They go see Jack. He says Paula left him for Randy, but they'd become best friend. Shawn figures out that Jack is almost completely blind. The night Paula disappeared they were taking a walk in the forest. She talked about leaving the town and someone hit Jack over the head. In one of the pictures they spot Randy in the background, running towards them.Cut to Jules going to the Jackson's place to see the sheriff. Randy is home by himself and she waits with him in the backyards. He starts acting strange and Jules makes a move for her gun as Shawn and Gus arrive. Randy admits being jealous of Jack. She then yelled at Randy for hanging out with his ex-girlfriend, but Randy won't tell them who that person is. Randy says at that point he left for the library.While eating more pie Shawn figures out that Maudette and Randy were probably in a romantic relationship and he guesses a jealous Maudette killed Paula.They go to the library and find Maudette hanging from a noose in the ceiling. Jackson and Gooden guess that the scandal must have been too much for Maudette to handle, which is why she took her own life. Shawn spots a wire running into the library and they find Maudette had internet access in a small back room. Maudette must have been the one emailing them. Shawn now thinks Maudette must have suspected foul play and emailed them because she was worried about being the prime suspect. The guys find themselves locked in the tiny room and see smoke coming from under the door.They are saved by Father Westley, who came to town because Paula said in her diary she believed she was in danger. Bob pulls up and takes them to his cabin.At the cabin Bob tells them his great-grandfather founded the town with two other soldiers. After a sawmill fire in the 1950s killed eight people the town became insulated. Bob and Michelle were therefore supportive of Paula's desire to leave town. We also learn that Bob was Paula's father and his wife doesn't know he had an affair with her sister.At this point Jackson and Gooden bust in the door. The other two familes which settled the town were the Jacksons and the Goodens. 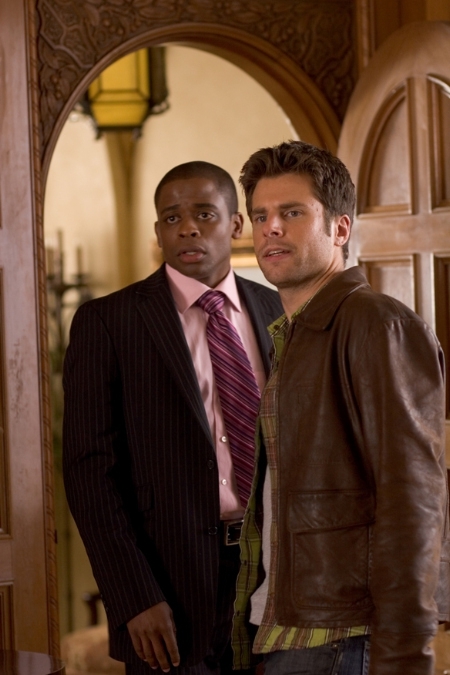 Jackson and Gooden admit to being responsible for the murders, because they couldn't allow the town only remaining heir, Randy, to leave with Paula. Just before Jackson is going to shoot them Jules and Lassie burst through the door and put them under arrest. Open with Shawn and Gus interrupting one of SBPD's sting operations. As always the guys are nearly killed, nearly blow the bust but somehow everything works out in the end.The next day they arrive at the station expecting to be praised. The guys listen to Lassie brief that gangster Devry Longsdale is having his cash-checking locations ripped-off. 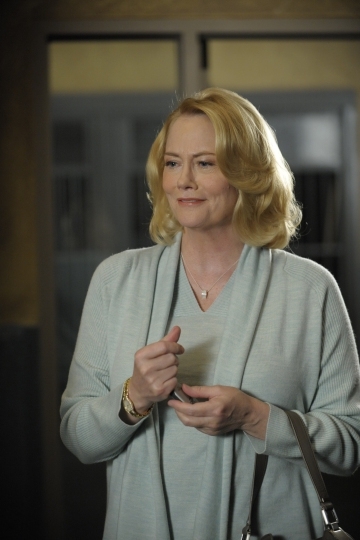 Despite Longsdale's reputation, in this instance he is the victim and the department is on the lookout for a man named David Arnold.Karen calls them into her office. She and Henry tired of their bungling and wants them to spend three weeks at the police academy. The guys immediately think of the comedy films of the same name and love the idea.Shawn and Gus are introduced to associate academy chief Nick Conforth (Ralph Macchio). It turns out that Conforth and Lassie have an old feud dating back to their academy days and neither have let the rivaly go. Lassie rubs it in Conforth's face that he isn't a "real" cop.We see a montage of Shawn and Gus' training. Suffice it to say they don't perform well in any area. Conforth takes them out for a training patrol with cadet uniforms and fake guns.Of course they instantly pullover Lassie for doing 45 in a 40. He's furious, but leaves the scene when word comes over the radio that another of Longsdale's check-cashing locations is being robbed. After Lassie leaves the guys manage to talk Conforth into beating Lassie there in order to arrest the bad guy and steal the glory from his old nemesis.They arrive at the location just as a man fitting Arnold's description runs right in front of the cruiser. Conforth freezes up and can't leave the car. The guys chase Arnold into a nearby college dorm, but lose him in one of the rooms. Lassie arrives just in time to call them all idiots.Karen suspends Conforth a month for taking Shawn and Gus to a crime scene. Lassie rubs in the fact that freezing up is Conforth's reputation. Shawn has lost an alarming amount of his police equipment, including his radio. 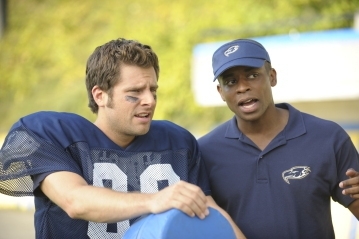 Shawn and Gus are to return to the academy, now under the watchful eye of Jules.Shawn and Gus speculate about the Top Gun-like similarity of being taught by a female instructor. Lassie calls Jules with news a car registered to Arnold has been pulled over. Jules brings the guys with her, but keeps them locked in the back of her car.It turns out the car registered to Arnold is being driven by an elderly Asian woman.At the station the guys see that Arnold's information in the system -- license plate, phone number, home address - has been doctored and that the man does not really exist. 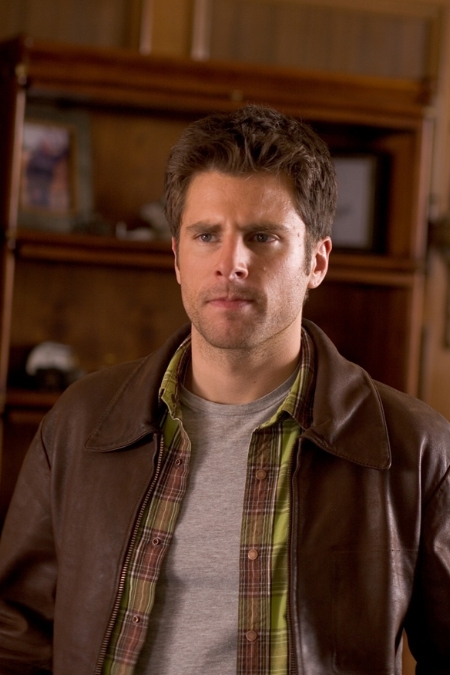 Realizing that someone had to hack the SBPD database, Shawn thinks back and realizes that one of the kids they saw in the dorm room (a technical school) had been wearing a disguise. Students named Dickie Hollenbrau and Chris Shepherd are responsible for the robberies.Shawn and Gus put on their cadet uniforms and had back to the school. The dorm room is empty, but they spot sports gambling slips and evidene the guys have spent tons of money at a grocery store 20 miles away. The guys duck in the close as Longsdale himself walks into the room, also looking for the kids. Longsdale says he wants to get his money back and kill the kids. Longsdale leaves and Gus can't figure out how he knew to look for Chris and Dickie.Jules puts Buzz in charge of the guys next training ride along. They easily trick him into taking them to the grocery Chris and Dickie frequent.Inside they see that the store is a front for a gambling ring. One of the employees tells them Chris and Dickie had owed them $250,000 but recently paid up. They think Chris and Dickie were stealing from Longsdale to pay back their debts. 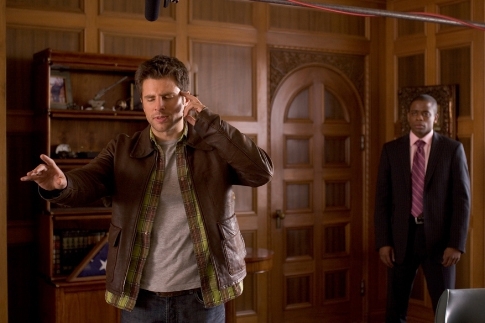 Buzz gets a call that the suspects have been spotted and takes them back to the academy.Shawn and Gus talk Conforth into once again getting involved. Using the disguise and Conforth's dog they track the kids to a house. They hear sounds of a sruggle and rush in to find Dickie's just been beaten and Chris has been abducted. Longsdale said he'll kill Chris if Dickie doesn't come up with $250,000. They realize Longsdale's been one step ahead of them because he has Shawn's walkie. Dickie pulls a gun on them and leaves to try and help his friend.At the station Karen decides to continue Conforth's suspension for another month. Since Shawn and Gus are still managing to out-investigate her officers she ends the academy experiment and return them to their previous role as consultants.The guys realize that Dickie is probably desperate enough to rob the gambling grocer for the money they just paid back. The arrive their and walk into a gunfight. They jump behind the counter next to Dickie, who has taken the money and is shooting it out with the grocery muscle. At this point Longsdale walks in with his gun to Chris' head. Shawn's plan is to pit Longsdale against the grocery muscles, using the security cameras to tell the gangsters where they are hiding. Longsdale is the last one standing. Shawn takes Dickie's gun and goes after Longsdale, eventually finding him disarmed and about to be shot by Longsdale. At the last minute Conforth shows up and shoots the gun from Longsdale's hand, saving the day.Conforth is reinstated at the academy and gets words of praise from Lassie. Open in 1990 with young Shawn on his bicycle. He rides past a dark-haired woman (Mr. Yang?) and stares at her as she unloads groceries.In "present day" Shawn and Gus meet with Karen who tells them a woman, Allison Cowley, claiming to have been abducted by serial killer Mr. Yin won't give a statement to anyone but Shawn. The guys get those calls all the time and don't buy it.They meet with Cowley (Mena Suvari) who is visibly shaken and tells a story of being chained to a pipe. When Shawn says he has no connection to Yin, she pulls out a framed picture she stole from him on the way out: It is a young Shawn with Yang.Cowley takes to the place where she was held and the police break down the door to find a family of four eating breakfast. They sheepishly apologize and are furious at Cowley, who sticks with her story. Lassie now thinks her photo must have been photoshopped. Cowly blindfolds herself and is able to identify the entire first level of the house from memory. Jules is worried that Shawn seems to buy this girls' story.The guys have Cowley stay with Henry.A photo analyst tells the guys the picture of Shawn with Yang is real, thought the background is fake.In Shawn's room Cowley begins to cry. Shawn is the only person that believes her.Jules tries to convince Lassie to give Cowley the benefit of the doubt.Henry wakes up on the couch to a loud noise. 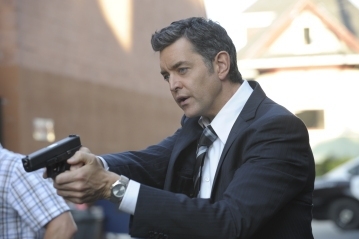 He grabs his gun to investigate and finds Cowley is gone. On the bed is an outline of the Yin and Yang symbol in red tape.Henry is furious he let Cowley be taken.Shawn and Gus go to visit Yang in the institution and ask for help. He wants to know why he can't remember the photo or where it was taken. She refuses to simply tell them where it was taken unless she's taken to where Cowley was taken.Henry calls Madeleine to ask about Shawn's outfit in the picture. He tells her it's about Yin but doesn't get any info before Yang shows up with the guys. Yang says Yin was gentle with Cowley and Shawn remembers Cowley telling him Yin thought she was "special." Yang suggests sometimes what takes Yin takes is important. One of his army men is missing and two of his 80s albums are missing. Based on the albums Shawn thinks this is related to a teacher of Cowley's.They get Cowley's class schedule and Shawn lead police right to a Romantic History class. A sub is there and he tells them the regular professor left an exercise where students write a story using all the main particulars of Cowley's abduction. In the end the girl dies.An administrator tells them the professor, Karl Rotmensen, hadn't shown up in a week. He is a well-respected teacher and the college was lucky to get him.Madeleine comes to Henry's place and they look over old pictures of Shawn. Shawn shows up with Gus and Jules. The address Yin gave the college was a field and in the middle was a bag of video tapes labeled "For Shawn." On the tapes is criminal psychologist (and Yin victim) Mary Lightly rambling through video diaries. Shawn thinks Yin left this there intentionally because he at the end, either they get him now or not at all. On the video two days before his murder he suggests Yin might be jealous of Yang's fame and could be about to take revenge. He doesn't think Yang ever truly exhibited the traits of an aggressor.Henry and Madeleine find a picture of Yang with Shawn and start to talk about where it was taken.Cut back to the video where video of Cowler tied to a pipe has been spliced in. It appears to be a basement.Back to Madeleine telling Henry that one day she ran into a sad-looking Yang who asked to have her picture taken with Shawn because he was the luckiest boy she'd ever seen. She never saw her again. The picture was taken at a house three blocks away.The group arrived at the house and find a note in the mailbox telling them to come in alone "or the girl dies." One inside metal bars lock over the doors and the recent phone message between Henry and Madeleine is played over speakers.Outside the cops pull up. Henry smashes a basement window.The guys find Cowley downstairs. She tells them nothing is going to be okay, then promptly pulls out a shotgun and reveals that Yin is the master and "I'm the apprentice." Cowley takes them upstairs, all the while ripping them for being so easy to capture. She takes them to a room where a shadowy figure is sitting.The police have no way to get in and are calling for a battering ram.Yin sends Cowley away and reveals himself. He pulls out a hypodermic needle and tells them it is something lethal.The have brought Yang to the house. Her terms are that she go in alone with Jules alone in exchange for another picture with Shawn. Inside she tells Jules she's Shawn's only chance at survival before smashing a light and running up the stairs.Yin tells them the needle holds a deadly mix called "Last Kiss." The begin arguing over who should be killed first.Jules, who has lost Yang, makes her way through the first floor. She runs into Cowley who immediately starts crying and pretending to be the victim again. In the basement Jules realizes her story is bogus and the two start fighting. Jules ultimately wins the fight.Yin tells the guys the needle is just for Gus. He has something more creative for Shawn. Right before killing Gus they demand he give them an explanation. He says Yang was obsessed with him since he was a kid, that Yin didn't know about him until he was an adult. Yang broke his trust to save Madeleine and he blames Shawn. At this moment Yang walks in the room and says "Hi, Daddy." They begin to argue. She apologizes and says she just wants to come home. As they hug Yang grabs the needle and sticks it in Yin's chest.Outside the guys watch Cowley taken away in a squad car. Shawn realizes that Yang never killed anyone, but she says he was weak and should have stopped him.At the station Shawn finds a disturbed Jules sitting over her statement. She's upset because the crazies keep on coming. They agree to protect each other and kiss. Lassie happened to be watching through the one-way glass and now knows they are together. He looks devastated. While working a case, Shawn & Gus also plan a birthday party for Juliet. They find out her absentee father is in town, and hope to reconcile Juliet and her father as a gift. The father is a con man who has trouble toeing the line. 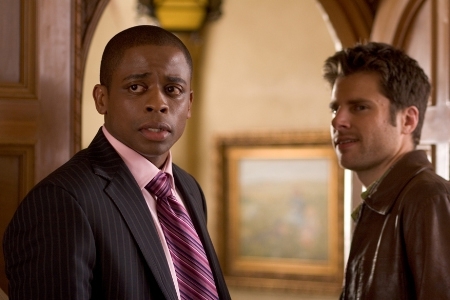 Shawn (James Roday) and Gus (Dule Hill) dive into a world that's equal parts mystery and melody to track down an escaped playwright mad man, Z (Anthony Rapp, "Rent"), who six years earlier was deemed criminally insane after locking a critic in a back room of the theatre that he burnt to the ground.